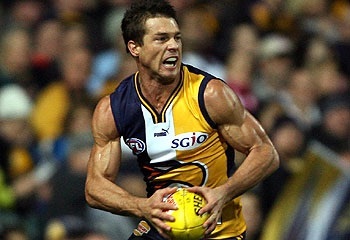 In the USA some people may not have heard of an Australian sportsperson called Ben Cousins; but in Australia the former Australian Rules (AFL) star is becoming well known for his off field antics rather than his ability to bring crowds of thousands to their feet with his dazzling footballing and athletic abilities. For almost 10 years now, we have read newspaper articals of Cousins' misdemeanours away from the sporting arena with many saying 'oh not again' - the disappointing thing I read amongst many social media updates is 'what a legend' 'this guy knows how to party' 'wish I could party like him' etc ect - the sad thing is that while this former elite athlete, former role model to thousands across the country appears to be struggling with some serious mental illness & addiction problems. During my work in USA it has been commonly talked about having substance abuser disorder is commonly treated as a mental illness. Addiction is set off by a chemical imbalance within the brain which causes the individual to crave such substances as alcohol & drugs; baring this in mind, we see Ben Cousins in the media once again appearing to be disorientated in the middle of a highway, and later taken to hospital. In reading media articals of Ben Cousins I don't see a one off case of a guy having one too many drinks - I see a man who is struggling with some inner demons of his own. A repeat offender, with that appears to have serious addiction problems. I fear this former sports star and Australian icons demise will soon come to an abrupt holt, with possible serious repercussions, with someone being seriously hurt or Cousins or a bystander ending up dead. That is the harsh reality of addiction disorders, many times we see the individual not treated or recognised before it becomes to late. I pose you this question; substance abuse disorder (addictions) are a co-morbidity with mental illness; would we see an individual with schizophrenia, going out having a party for days, stopping traffic on a highway and taken to hospital - hailed as a 'top bloke' for having good time? Or would public perception demand that he be treated for his illness?